The English National Ballet’s Emerging Dancer competition at the London Palladium, now in its seventh year, will this year be live streamed for the first time. The broadcast will be in partnership with ArtStreamingTV on Tuesday 17 May 2016. It will be possible to watch the full programme of performances, as well as interviews from some of the artists involved and additional backstage access and behind the scenes videos. Emerging Dancer sees six finalists perform in front of a panel of eminent judges, with the Emerging Dancer Award announced at the end of the evening and is part of ENB’s commitment to developing and nurturing young talent within the Company. In addition, there is a People’s Choice Award, voted for by members of the public. This year’s competition sees the introduction of the Corps de Ballet Award, which recognises an exceptional Artist of the Company that “has gone above and beyond the call of duty”, which conjures up splendid mental pictures of heroic corp dancers rigging lights or painting a backcloth. On the jury this year, Tamara Rojo will be joined by Matthew Bourne, Viviana Durante, Thomas Edur, Russell Maliphant, Oxana Panchenko and Morgann Runacre-Temple. The finalists will first perform a pas de deux, followed by a solo. Isabelle Brouwers and Erik Woolhouse present the Talisman pas de deux, Jeanette Kakareka and Daniele Silingardi will dance the Black Swan pas de deux, and Rina Kanehara and Cesar Corrales perform the Diana and Acteon pas de deux. For their solos Isabelle Brouwers will dance a new piece choreographed by Charlotte Edmonds, who is participating in the new Royal Ballet Young Choreographer Programme, Jeanette Kakareka performs a solo from Annabelle Lopez Ochoa’s Requiem for a Rose, and Rina Kanehara will dance Les Ballets de Monte-Carlo’s Black Swan solo. Cesar Corrales dances Contrabajo para un hombre solo by Maximiliano Guerra, Daniele Silingardi presents the opening from John Neumeier’s Spring and Fall, and Erik Woolhouse dances Annabelle Lopez Ochoa’s Eros Redux. Previous winners of the Emerging Dancer Award include Yonah Acosta (2012), who is now Principal of English National Ballet, Shiori Kase (2011), and Junor Souza(2014), who have since been promoted to First Soloist, and Jinhao Zhang (2015), recently seen performing in the lead roles of Ali and Lankendem in Le Corsaire at the London Coliseum in January this year. Having trained at English National Ballet School, Isabelle joined English National Ballet in 2014. Since joining the Company she has performed in Swan Lake, Nutcracker, as an Odalisque in Le Corsaire, and in Annabelle Lopez Ochoa’s Broken Wings, part of English National Ballet’s She Said programme. In 2015 Isabelle was a finalist in Emerging Dancer. She has won Silver Medal at the 2013 Genée International Ballet Competition, and came second place in Young British Dancer of the Year 2013. Jeanette joined English National Ballet in 2013, having graduated from San Francisco Ballet School. 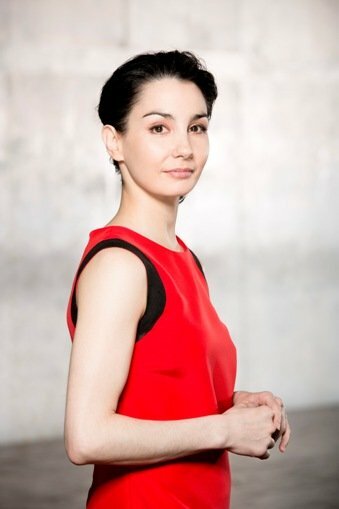 She has recently performed Lead Swans in Swan Lake, as Rosaline in Rudolf Nureyev’s Romeo & Juliet, in Liam Scarlett’s No Man’s Land, part of the Company’s award-winning Lest We Forget programme, and in Annabelle Lopez Ochoa’sBroken Wings, part of the company’s recent She Said programme. In 2015 she was an Emerging Dancer finalist. The youngest dancer in the Company, Rina trained at the Princess Grace Academy, Monaco and joined English National Ballet after winning the Prix de Lausanne 2015. During her short time with the Company, she has performed as an Odalisque in Le Corsaire, a Lead Snowflake in Nutcracker, and in Annabelle Lopez Ochoa’s Broken Wings, part of the company’s recent She Said programme. Having joined English National Ballet in 2014, Cesar was promoted to Junior Soloist at the end of the 14/15 season. He has gone on to perform in the roles of Mercutio in Rudolf Nureyev’s Romeo & Juliet, the Nephew in Nutcracker, and as Ali and Birbanto in Le Corsaire. Daniele joined the Company in 2013 upon graduating from the Royal Ballet Upper School. He has performed in the role of Paris in Romeo & Juliet, Second Breath by Russell Maliphant, and Dust by Akram Khan, both part of the award-winning Lest We Forget programme, and and in Annabelle Lopez Ochoa’s Broken Wings, part of the company’s recent She Said programme. Erik trained at the Royal Ballet Upper School and joined English National Ballet last year and has so far performed in Romeo & Juliet, the Russian dance in Nutcracker, and inBroken Wings by Annabelle Lopez Ochoa, part of the company’s recent She Said programme. In 2014 he won Young British Dancer of the Year.